Tustin Plumbing, Heating & Air Conditioning offers a wide range of plumbing, HVAC and remodeling services in the city of Villa Park. Villa Park residents and business owners have been using the knowledgeable plumbers, technicians, and contractors at Tustin Plumbing for over 50 years. 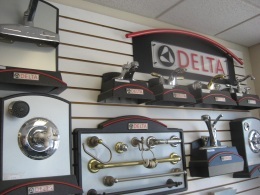 We're proud they've come to know us for the most reliable plumbing and HVAC service in Orange County. We take justifiable price in getting the job done right the first time, no matter how big or small. We also can help with your kitchen or bathroom remodeling projects. Give us a call anytime; we are available 24 hours a day, 7 days a week. Receive $15 off any service in the city of Villa Park! Click here to print out your $15 coupon.